Disney has finally found a director for its highly-anticipated Mulan remake, with New Zealand filmmaker Niki Caro signing on to take the helm. This news comes just a few months after Ang Lee passed on the project back in October. But now the project is back on the right track. This hiring also makes Niki Caro the second female director at the studio to be at the helm for a project budgeted at over $100 million, following in the footsteps of Ava DuVernay and her film A Wrinkle In Time. Along with adding Niki Caro, the Mulan remake has brought on veteran Chinese producer William Hong as an executive producer. The Hollywood Reporter reveals that Disney was considering other female filmmakers such as Wonder Woman's Patty Jenkins and celebrated TV director Michelle MacLaren (Breaking Bad, Game of Thrones, The Walking Dead). With Niki Caro taking the reins on this project, that most likely means she's out of the running to direct Captain Marvel, since a report from August revealed she was one of the front runners, along with Lesli Linka Glatter (Mad Men) and Lorene Scafaria (The Meddler). The studio is again trying to assure fans that this Mulan movie will be culturally responsible. The studio also sought Wen Jiang, who starred in Rogue One: A Star Wars Story and is an accomplished Chinese director, but that didn't pan out. The project originated from a spec script Disney purchased in 2015 from writers Elizabeth Martin and Lauren Hynek. Then in October, a report surfaced that the spec script centers on a "30-something European trader who initially cares only for the pleasure of women and money," who becomes Mulan's love interest. This sparked quite the controversy, forcing Disney to release a statement that all of the main characters in this Mulan remake will be Chinese. Rick Jaffa and Amanda Silver (Dawn of the Planet of the Apes) were also brought in to rewrite the original spec script Disney bought last year from Lauren Hynek and Elizabeth Martin. The spec script is said to be a "jumping off point" for a "more nuanced and elaborate adaptation," that combines elements of the original Chinese ballad with the 1998 animated film. Disney has already set a November 2, 2018 release date for this Mulan remake, putting it up against an untitled Fox/Marvel superhero film and an untitled Paramount event film. Chris Bender, Jason Reed and Jake Weiner are producing with William Kong executive producing. The original film followed a young woman who disguises herself as a man so she can take her father's place in the army and go to war. With the help of her trusty dragon sidekick Mushu, she becomes a skilled Chinese warrior and, eventually, one of the country's greatest heroines. It earned $304.3 million worldwide, earned Golden Globe and Academy Award nominations and spawned the 2005 direct-to-DVD sequel, Mulan II. Disney is reportedly focusing its casting search in mainland China for the title role and other characters as well. The studio is also bringing in Chinese cultural consultants along with the studio's own team in China for this new version of Mulan. 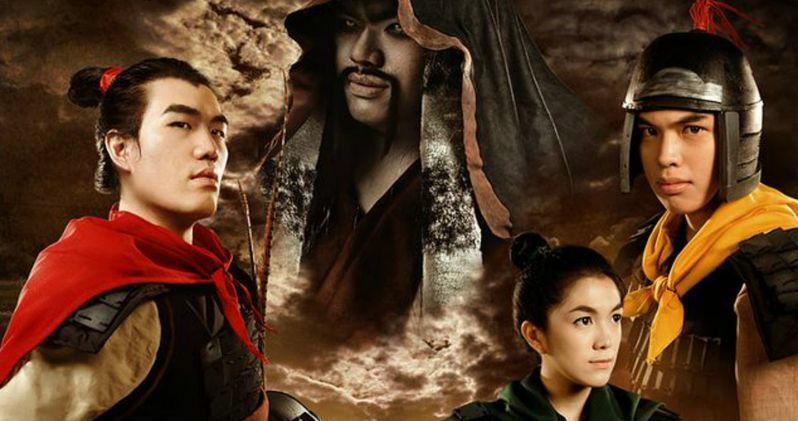 William Kong has produced some of China's biggest hits, including films have have had success in the U.S. such as Crouching Tiger, Hidden Dragon, Hero and House of Flying Daggers. He has also produced Chinese blockbusters such as Monster Hunt, Wolf Totem and Journey to the West. Niki Caro most recently directed McFarland USA for Disney, and her next film, The Zookeeper's Wife, hits theaters on March 31.